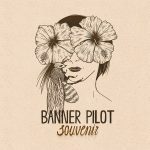 Banner Pilot‘s fourth full length album. A bit slower, a bit more varied, a little less overtly punk. Whether that’s a good thing or a lame thing or a comically irrelevant thing depends on what you like, I guess. Personally I think it’s the best or second best thing we’ve done but I am fully aware people always have a bias towards the most recent thing they’ve done. So check back after the next album comes out and maybe I’ll totally be trashing this one.